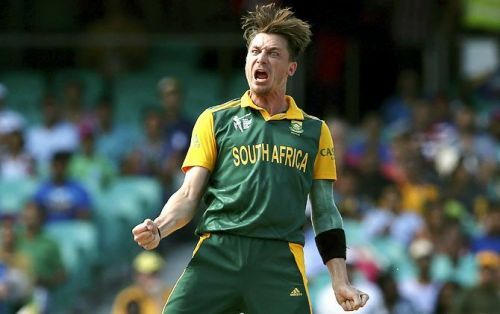 South Africa's legendary speedster, Dale Steyn has come up with his prediction for the upcoming four-match Test series between hosts Australia and India. The 35-year-old admitted that India have been smarter in the way that they approach the game but believes that the hosts have history on their side. “For the first time, I think India has a pace attack to challenge teams around the world, or away from their own conditions. It’s going to be an interesting Test series, and if Virat (Kohli) scores runs and we know Virat always scores runs — India will do well. But, I’d probably go with Australia, just in terms of history against India. The amount of touring they (India) have had this year, the guys might be a bit tired” Steyn told cricket.com.au. Virat Kohli is the leading run-getter in Tests this year with 1063 runs in ten matches at an average of 59.05, that includes four half-centuries and four centuries. The Indian bowlers have been excellent with the cherry so far this year- with Mohammed Shami leading the ranks with 33 wickets in nine matches (India's leading wicket-taker in 2018). Ravichandran Ashwin is one short, with 32 scalps in as many matches as Shami while Ishant Sharma and Jasprit Bumrah come next with 30 (in 8 matches) and 28 wickets (in six matches). Even though India did not get the desired results especially against South Africa and England, their bowlers have contributed well so far this year. With the four-match Test series between Australia and India set to begin on December 6, Steyn picked the hosts Australia to win the series despite the visitors being touted the favorites, in the absence of star players David Warner and Steven Smith. With India winning just five out of the 44 Tests played in Australia in eleven visits Down Under, Steyn boldly predicted the Tim Paine-led side to go all the way against the odds. India lost both the high-profile away Test series this year (1-2 against South Africa and 1-4 against England). For the Adelaide Test starting on December 6, India will miss the services of young prodigy Prithvi Shaw who sustained ankle injury during the 4-day practice game on November 30. The second, third and final Tests will be played at Perth, Melbourne (Boxing day Test) and Sydney (New Year Test).